Foundational characteristics of qualitative research include flexibility, variation in application, critique, and innovation all of which derive from its subjective roots in interpretivism and constructivism. While the scholars who design qualitative research projects envision these qualities as strengths, such a breadth of practices and the assumptions that undergird them may present challenges during the peer review process. As a result, those who review and consume qualitative research often have important and difficult-to-answer questions about the project’s design, strategies/tools, and analysis, with few guidelines for gauging the merit of the work. 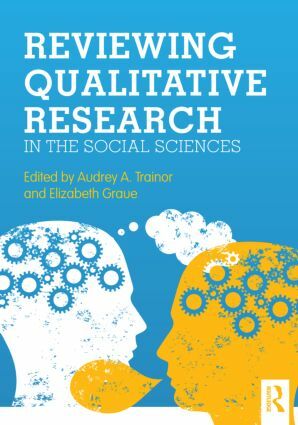 The mission of this book is to provide a useful guide for researchers, reviewers, and consumers who are charged with judging the quality of qualitative studies. In order to embrace the challenges and controversies that accompany this goal, the editors have solicited experts representing multiple disciplines and methods of qualitative inquiry. Their contributions represent the rich diversity in the field while simultaneously producing a pragmatic and useful guide. While it is neither possible nor desirable to compartmentalize qualitative approaches and issues into neatly organized categories, the construct of method has been chosen as a common organizing device. The introductory chapter explains the need for such a book and underscores the foundational strengths of qualitative research: flexibility, variation, critique, and innovation. The remaining chapters review the principal approaches to qualitative research with care taken not to standardize, rigidly define, or oversimplify any approach. For ease of use, all methodological chapters are organized around the following elements of inquiry which reviewers tend to examine: definition, sampling, data collection, data analysis, representation, and congruency.